Famous Bob Inskeep – aka FBI – shown in contest promotion mailing that urged listeners to tune in 101.5 in the morning. 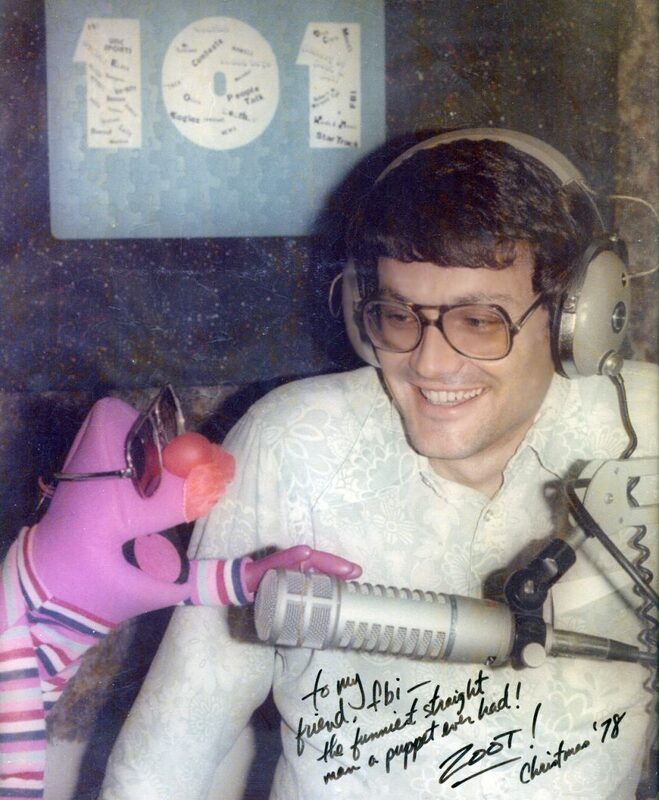 WRAL-FM Morning Man Bob Inskeep in photo with Zoot, a puppet character who was popular on the show. Zoot was a creation of voice actor Rowell Gormon.